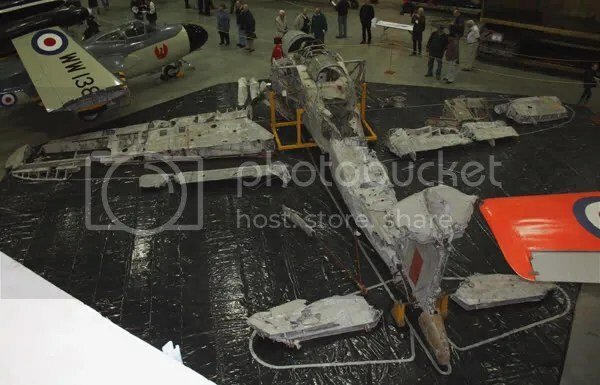 On the 27th October 2011, The Fleet Air Arm Museum at Yeovilton announced that after many years it is preparing for the restoration of a Fairey Barracuda torpedo bomber. The Barracuda was built in greater numbers than any other British naval aircraft during the Second World War, but no complete airframe has survived. 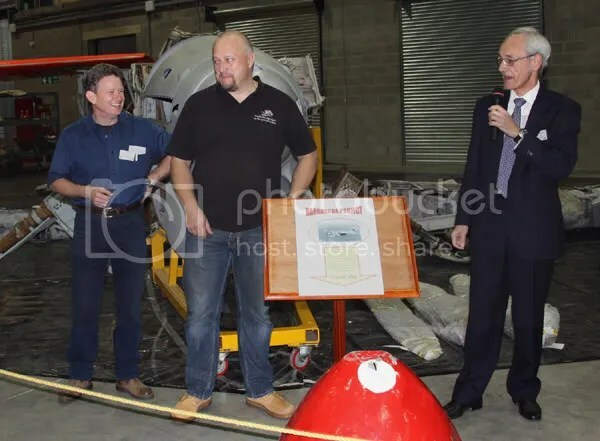 Key to the restoration will be the Bluebird Project which is currently restoring Donald Campbell’s record-breaking jet hydroplane to running condition. In fact, the work has already begun – a complete elevator has been built from scratch, to add to the nose section already restored by Viv Bellamy. The museum has built up considerable amounts of Barracuda wreckage over the years, and much of this was displayed on the 27th in the museum’s Cobham Hall building. The largest amount comes from DP872, the 16th Barracuda MkII from the first production batch ordered from Boulton Paul. It crashed in August 1944, in a bog known as Blackhead Moss. Further material has been drawn from numerous MkII and MkIII aircraft, and there are even parts from a rare Griffon-engined MkV. The Barracuda was a controversial aircraft which was deeply unpopular with many crews, but nevetheless enacted numerous successful dive-bombing raids against the battleship Tirpitz and land targets in the Far East. Graeme Mottram outlined the desire to have a “highly original” Barracuda in around five years. It is estimated that the restoration will contain around 80 per cent original material. -Update, May 2015: It appears that the Barracuda remains and project have now been taken back by the Fleet Air Arm Museum and the Bluebird Project is no longer involved. This is unfortunate and in all likelihood means that the dream of a restored Barracuda in the foreseeable future is remote. I was part of the Barracuda recovery some known and some not known which I feel will add the human touch to the whole affair. One such event was when I was stood outside Ebrington Barracks Londonderry an undertakers car was waiting by the gate. I was approached by one of the undertakers who asked me if I was part of Exercise Barracuda. I was asked to the with them to the Mortuary to identify the bodies. Strange request I thought so I went along. When we arrived at the Morgue I was totally overwhelmed at the sight of the three poor souls then I identified the bodies. I did this by recognising each uniform. The pilot RNR identified by the two wavy navy rings on the uniform sleeve, the second poor soul being the observer by recognising the single wing with there letter O under the wing and powers of deduction the third poor soul was identified. Personal items such as photographs in the wallets of family members, bread coupons, small change, pennies predating 1944……….I was overwhelmed but the story ended there…..nobody knows of the hidden parts of the recovery. The second story was taking a Naval Land Rover into IRA Creggen Estate and sitting in a launderette armed with a sub machine gun washing the recovery members contaminated clothing. Many more stories of events can be unfolded if so desired, including………….well please let me know if you wish for more.